LOUISVILLE — Five years ago, the Rev. 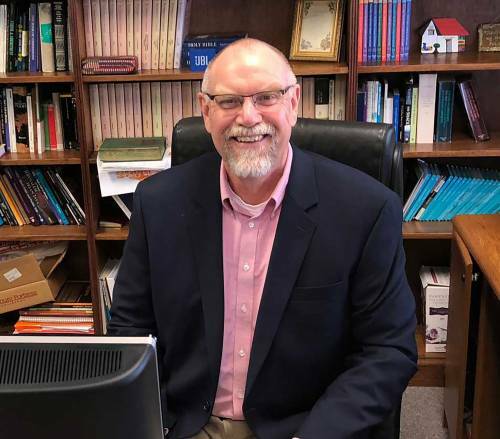 Dr. Bob Breed made a conscious decision to serve a smaller PC(USA) church part-time in Charlotte, N.C., where he could also work at the city’s men’s shelter. Pleasant Grove Presbyterian Church has been good to Breed, caring greatly for him and his family. But despite working two jobs, Breed is still making less than he was in his previous position at a larger church. His wife went from part-time to full-time work to help make ends meet. Yet, according to Breed, every month it felt like money was “coming out of our pockets” to pay off student loans. They both felt like they could use that money for other things. “We couldn’t wait to get the thing paid off,” he says. One day, Breed stumbled across a page on the Presbyterian Mission Agency website from Financial Aid for Service (FAFS) on managing educational debt. After reading about the Transformational Leadership Debt Assistance (TLDA) program that offers loan repayment assistance for pastors of small PC(USA) congregations and emerging worshiping communities, he inquired about it. Those folks Breed referred to are mission loan repayment specialist Melonee Tubb and FAFS coordinator Laura Bryan. Currently they are looking to help up to 50 pastors like Breed with student loan forgiveness through the TLDA program. During his time at Pleasant Grove, Breed applied for and received a $5,000 loan, paid directly to his loan servicer. After 18 months of service that loan was forgiven. Breed repeated the process twice for a total of $15,000 of interest-free student loan forgiveness. Breed’s student loans are just about paid off, so he can now focus on his family’s education. One son is already in college. A daughter is about to be. Now Breed is an advocate for a program he knew nothing about when he made the choice to serve a smaller PC(USA) congregation. Learn more about Financial Aid for Service scholarship opportunities and its parent loan and student loan forgiveness program here. Use the simple one-page application process at pcusa.org/apply4scholarships. To schedule a student loan consultation with Melonee Tubb click here.